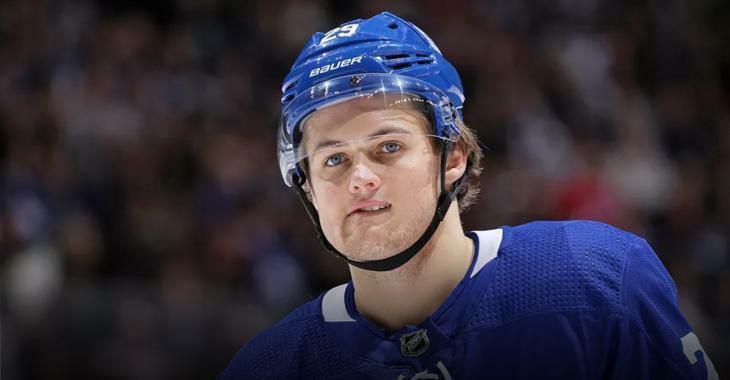 According to a report from Lance Hornby of The Toronto Sun, the contract standoff between the Toronto Maple Leafs and unsigned restricted free agent William Nylander could be coming to a close. A source told the Toronto Sun that Maple Leafs general manager Kyle Dubas is in Switzerland on Wednesday for a meeting with Nylander and his representatives, with a Dec. 1 deadline looming to sign the restricted free agent. Switzerland would serve as a neutral locale for the summit, with Nylander having been training in Sweden on his own to date. The betting is the Nylander camp is getting antsy at the growing public perception he is asking for too much money and that the Leafs can go on without him or trade him. Club president Brendan Shanahan’s suggestion that Nylander take a home-town discount so the Leafs can fit Auston Matthews and Mitch Marner into a Stanley Cup-contending window the next few years also likely ruffled feathers. Calls to the Leafs concerning Dubas’ whereabouts from The Sun were not returned, leading to further speculation that Dubas is on a covert mission to ink his prized RFA. The thing is, the Leafs have not really felt Nylander's absence from the lineup to start the 2018-19 season. The team is currently sitting atop the NHL standings and have outscored their opponents by a margin of 33-23. Kasperi Kapanen has taken Nylander's spot beside Auston Matthews on the team's top line and has managed four goals and eight points in the team's first seven games. Suffice it to say, Nylander needs the Leafs more than the Leafs need him at this point.